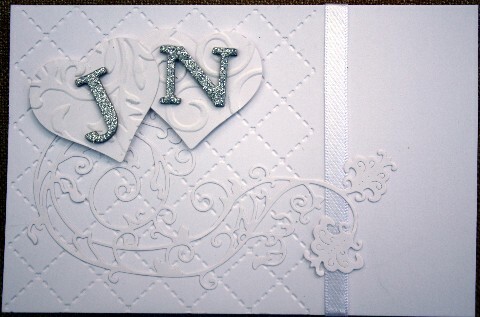 I have a very limited supply of larger embossing folders but this looks OK even if it is sideways. 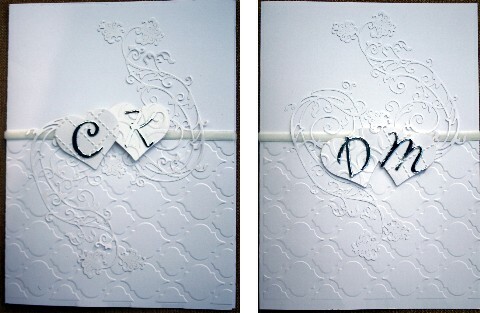 Yes I embossed it inside out, guessing they won't realise. Most classical composers, when they'd written a good tune, used it again and again, so don't you worry about using the same design twice, Karelyn! They're all very pretty: white on white or white with a touch of silver always looks good. They are lovely, yes. I really like the 'side' one. Really lovely and when none of them will know about the others who cares. I find it easy to do a few teh same when I know they are going in different directions.